Join Stitchin' Heaven and Friends on a 7-night Eastern Caribbean Cruise! 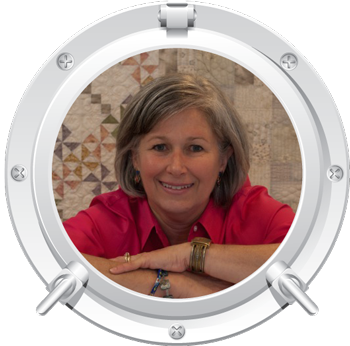 Cruise and learn from three quilting experts: Allison Harris, Cat Nix, & Donna Thomas! The biggest and newest ship in the Royal Caribbean fleet is the Harmony of the Seas. We sailed on this ship last April and we were blown away with the up-to-date amenities, the food, and most of all the service of the onboard staff. Prepare to cruise the Caribbean, learn from world-class teachers, and leave with more education and inspiration than when you boarded. This one will fill up quickly so sign up right away! Allison started her blog in 2007 as a way to keep record of the things she was making. She also started quilting around that time, so this blog has followed her journey from a brand new quilter, to a quilter that sort of knows what she’s doing. 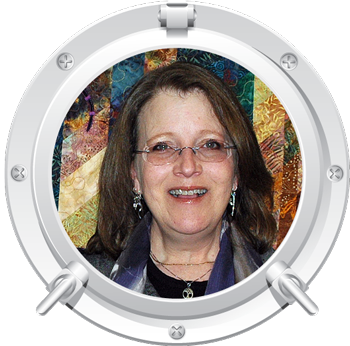 Blogging is one of her loves, but she also writes and publishes quilt patterns, is an author and contributes to quilting books and magazines, and designes fabric sold in quilt shops with Windham Fabrics. She lives a ferry ride away from Seattle with her husband and four kids. She works as a Dental Hygienist here and there, but mainly she stays home with her family and enjoys quilty stuff. She also loves visiting beaches around their house, anything with sugar, wandering around Target alone, raising bunnies, and long lazy naps (but who doesn’t?). As far back as she can remember Cat Nix has held needle and thread in hand. "I get such a charge from combining fabrics to create unique, dynamic designs! Absolute Joy fuels my creative expressions." 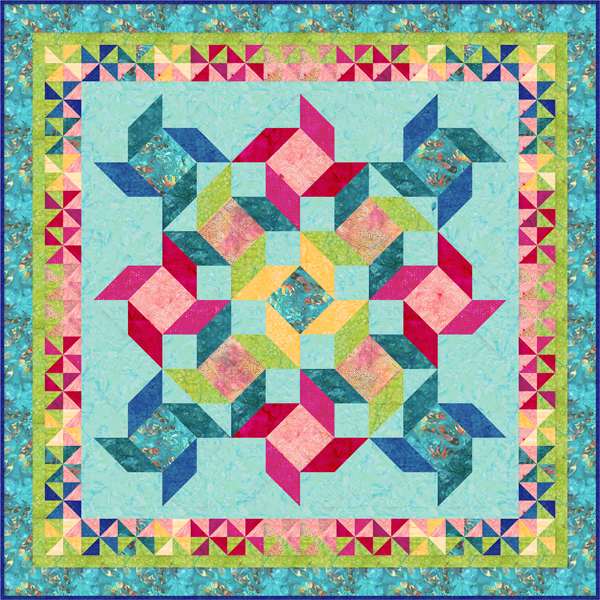 Cat collaborated with Paula Nadelstern to develop the "Puzzle Quilt Block of the Month," which she has taught for several years. “I have the best job in the world,” Cat says of her work with Anthology Fabrics. A self proclaimed "fabri-holic", she proudly states, “I work with the best people and best fabric in the industry!” As Creative Director, Cat works with pattern designers, publishers, educators, business owners and shop owners to promote the use of Anthology Fabrics. She also serves as in-house pattern and project designer, working with Anthology Fabrics artisans in Indonesia to develop new fabric designs that can be used in all facets of quilting and sewing. Cat resides with her family in Kansas City, Missouri. She always enjoys hangin' out with her son, stitch-time with her sister, nieces & nephew, and spoiling her pets. Cat teaches and lectures locally and beyond the metropolitan Kansas City area. Donna Lynn Thomas has been sewing since the age of four and passionately quilting since 1975. She began teaching in 1981, and while an Army wife, lived in Germany for four years and thoroughly enjoyed teaching at a German quilt shop and various guilds throughout the country. Long out of the Army, the Thomas’ have settled in Kansas for good. Donna continues to teach nationally. 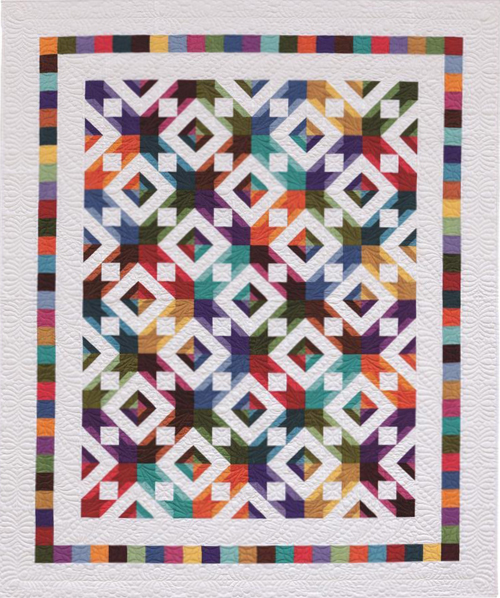 The author of 14 titles with Martingale, one self-published book, and one with Kansas City Star, she has also contributed articles on various quilt-related subjects to numerous publications over the years. You can see Donna on Craftsy as well as several QNN-TV episodes. Believing that piecing quilts should be a pleasure, not a fight, her focus is on skills mastery and techniques that enable her students to enjoy frustration-free sewing. She presents the essentials of these skills in her Craftsy class, Piece Like a Pro, and her two most recent books Quiltmaking Essentials 1 and 2. 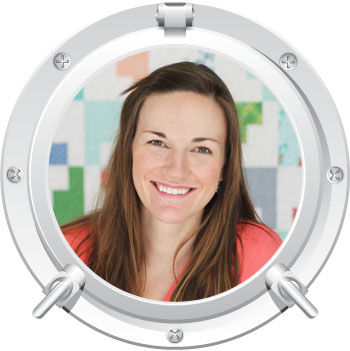 Donna is also the designer of the Omnigrip On-Point Ruler™ and its companion ruler, the On-Point Square™, which allow us to produce squares, strips, rectangles, and half-square triangle units that measure neatly on the diagonal without any math. Donna and her husband provide staff assistance to three cats and a sunny golden retriever. You will love making this fast, fun, and beginner friendly Dixie quilt! Every fabric looks great in this quilt, and you can make this pattern from start to finish in a weekend. Easy piecing and minimal trimming make this a great project for beginners, or anyone who wants a simple, no fuss project to work on. The solid fabrics of each block make this a perfect pattern for busy fabrics you aren't quite sure what to do with, and keep it from being too busy! You will want to make this Dixie quilt over and over again! Simple to construct, the tropical colors and spinning nature of the center blocks reflects the feeling of a balmy breezy day. Thus, the name TradeWinds. 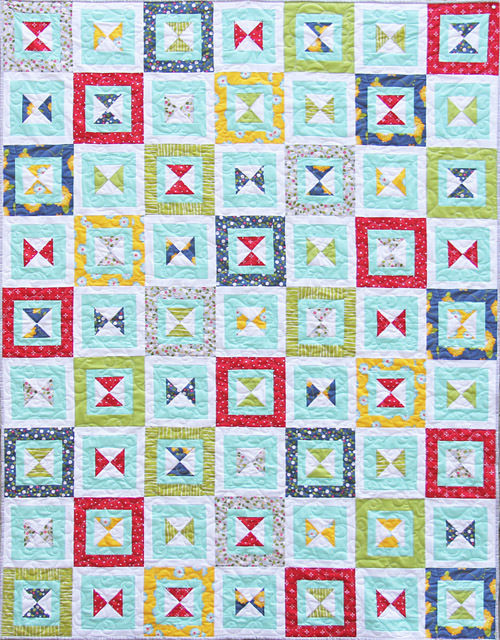 The "windy" feel continues through a set of borders (including a pieced border of Pinwheel blocks). This large throw is just the right size for a picnic or an afternoon "curl-up" with your favorite book or movie. “Pirates of the Caribbean” anyone? The finished size of this project will be 72" x 72"
Let's set sail and have a boatload of fun learning how to make striped squares the easy way! Inspired by the colors of brightly colored jewel stones, the blocks in Gems are made four at a time from 12 sets of solids. Each fabric set includes one dark and one medium solid from the same color family. What looks like a complex design is actually very simple and based on cutting and working with simple squares. We'll learn how to make triangle squares using Star Singles and then turn them into striped squares. The blocks are of a simple nine-patch construction so it doesn't get much easier than that. Donna's classes are always loaded with tips and skills instruction ensuring success for her students and this one is no exception. The visual interest of the design comes from setting the blocks straight together and can be altered by arranging your blocks in different ways. We'll go over some of those possibilities in class. The finished size of this project will be 54 x 64". Our incredible Sail 'n Sew fabric pack includes all of the fabrics and patterns for your projects and they are pre-cut so all you need to do is sit down and sew! The price of the Sail ‘n Sew fabric pack is $430.00 and it includes both of the projects for this cruise. If you would like to buy individual kits, please call for pricing. If you would like a Sail ‘n Sew pack, just let us know when you make your Reservation and we'll have a kit waiting for you on the ship. Order early as supplies are limited. If you choose to bring your own fabric, please bring it precut and ready as we do not allow time for cutting during class. You will find the cutting instructions in each pattern that can be ordered here: Dixie Pattern, Tradewinds, and Patchwork Palette Book (Gems). Port charges, taxes & fees of $338.01 are not included. 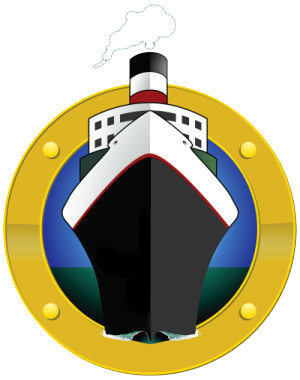 You will be responsible for getting to and from the ship in Ft Lauderdale, Florida.